Earlier this month, I picked up on a House amendment to Senator Oley Larsen’s (R – District 3) Senate Bill 2139 and expressed my concern that the amendment may well sink Senator Larsen’s bill. The original intent of SB 2139 was to allow those who are caught carrying a concealed weapon without their permit to produce it within ten days of the violation in order to avoid criminal charges. With the addition of the House amendment, the bill ended up with a provision that added "an elected official" to the list of exceptions to the restriction for carrying a weapon at public gatherings. 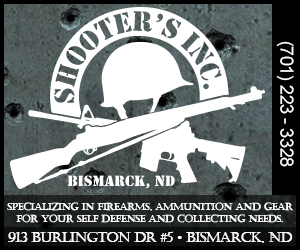 The definition currently listed in the North Dakota Century Code for public gatherings "means an athletic or sporting event, a school, a church, and a publicly owned or operated building." "… I sense there may be a deeper issue at stake here that perhaps few people are thinking about. By adding the amendment to allow elected officials to carry at public gatherings, I believe the House may have unintentionally put Senator Larsen’s bill at risk." While trying to catch up on some legislative items today, I decided to check in on SB 2139. Unfortunately, it was no surprise to discover that my concerns were well-founded and that last week the Senate killed the bill by a vote of 3 – 43. 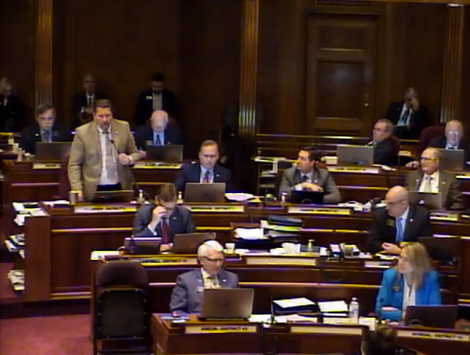 Senator Larsen inquired in the floor debate whether it were possible to split the original intent of his bill from the House amendment and to vote on them separately, but it was too late. That legislative move was not permitted by that stage of the process. He then pleaded for his colleagues to not kill the bill because of an amendment that few would take advantage of anyhow. But his pleas fell on deaf ears. Situations like this are disheartening. The bill originally passed the Senate by a vote of 44 – 2. But because of one amendment – which was completely unrelated to the original intent – Senator Larsen’s bill went down in flames. If legislators have an idea and want to advocate for it, they should do it in their own bills. I find it wholly inappropriate to attach an idea to someone else’s legislation when it is unrelated and puts their bill in jeopardy. Senator Kelly Armstrong (R – District 36), who carried the bill to the floor, said that they could not come to an agreement with the House in conference committee. This indicates that the House would not back down from their amendment. An amendment that they knew would sink the bill. The skeptic in me wonders, was this intentional on the part of the House Energy and Natural Resources Committee who inserted the amendment in the first place? We may never have an answer to that question. But this I know… intentional or not, they sunk Senator Larsen’s bill. A bill that would have otherwise passed. And that stinks. T. Arthur Mason is a native North Dakotan who has spent nearly all of his life in the Peace Garden State. As the third of four children in Western North Dakota, Mason grew to appreciate family and the outdoors. Some of his fondest memories are annual deer hunts with family and friends. In his early teenage years, faith became a central part of T. Arthur Mason's life. He and the majority of his family attend church together on a weekly basis and find this a fulfilling aspect of their lives. Through the influence of his father, T. Arthur Mason became intrigued with politics. As a boy, he attended political events with his father and enjoyed the friendships that resulted as a byproduct of those political associations. As Mason grew older, he became convinced that the quote often attributed to Thomas Jefferson was true, "That government is best which governs least." Today, T. Arthur Mason enjoys time with his wife and children, an occasional hunt, and an increasingly active life on the political scene. This blog is the fulfillment of a dream to design a web site in the realm of politics and to advocate for the principles of Liberty and constitutionally limited government. On behalf of all those that contribute to The Minuteman, we hope you enjoy your time on the site and will share the message with others. 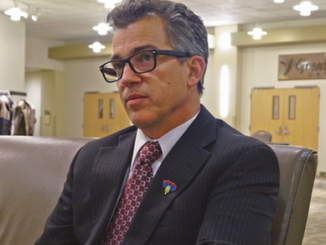 Bismarck Mayor Mike Seminary: Arrogant, Disconnected, or Both? 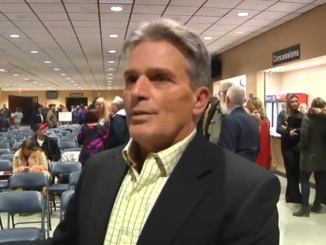 Should Rep. Rick Becker Run for U.S. Senate? 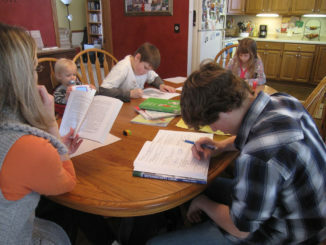 Will Homeschooling Be Under Attack Next Legislative Session? Get regular updates and exclusive breaking news direct to your email.